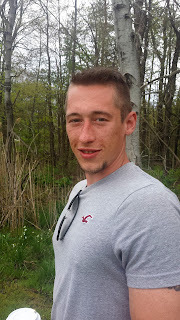 Today, October 1, 2016, is Jared's 24th birthday and I want to tell you about a conversation we had this past April, 2 days before he went into rehab. He said he wanted to get clean so he could help people. "You don't want somebody telling you what you should be doing if they haven't been there and know what you're going through." In that conversation Jared also said something else. Something I would have forgotten had it not been for the fact that I journal. It is the reason for this blog. He said, "Mom, I wish Jesus would come back." I responded, "He will." Jared stated, "No, I mean now-to save the people." My son had more of his Heavenly Father's heart than I do. He cared about you. 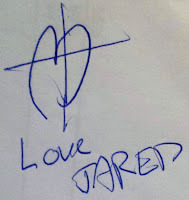 That's why I'm here-to let you know about Jared's heart and what he wanted for you. I believe if we could ask Jared he would say this is his best birthday ever - not so for us. He is pure, clean, and more alive than ever and living in glory. He's also with his brother Caleb, who he never met. Caleb only lived for an hour on September 20,1995. Jared placed a school bus on his grave when he was 4 or 5 years old and it's still there. How do I know Jared's living in glory now? After all, he was a heroin addict who had died from an overdose on July 31,2016. Do you see that heart and cross? They're from a note Jared left me this past July 3rd. 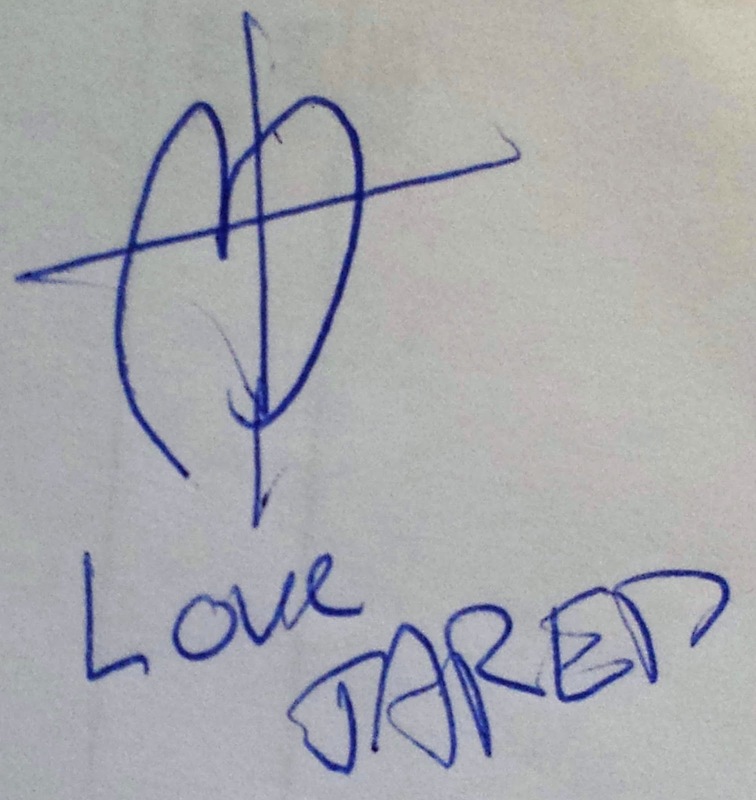 Jared's heart is covered by the cross of Christ - therefore cleaned. You see, God looks at the heart of a person and asks - are they covered by the cross? If so, you spend eternity with Him in paradise. God's love and grace covers a multitude of sins - good thing for me. Please don't think Jared and I had long theological discussions because that's just not so. They were short, heart-felt moments and even notes left for me to treasure. I encourage you to listen to Pastor Jeff's memorial message - maybe while you're sitting by your campfire tonight. In it he talks about getting eaten by a bigger fish and fighting the giants in your life. As you remember Jared, I hope you receive the gift he wanted you to have - salvation.